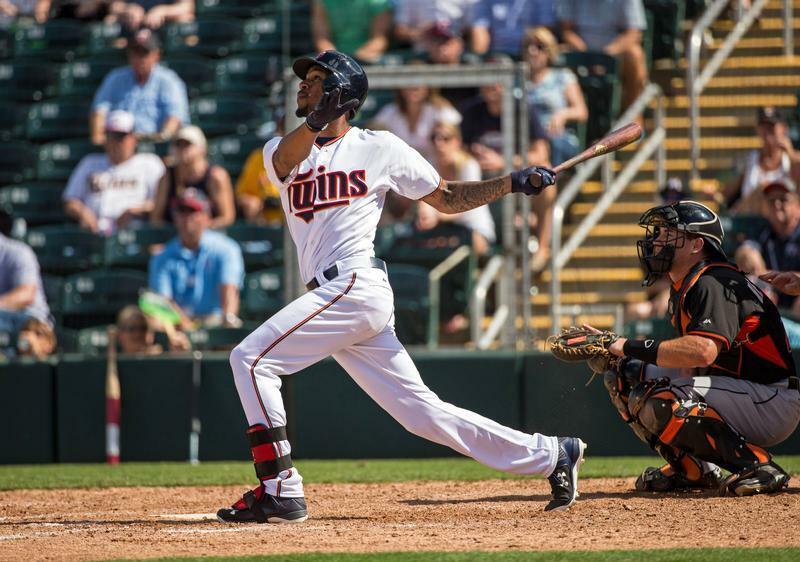 The Fantasy Sports Boss: 2017 FANTASY BASEBALL STATUS REPORT: BYRON BUXTON QUAD-A GUY? 2017 FANTASY BASEBALL STATUS REPORT: BYRON BUXTON QUAD-A GUY? 1-for-18. That is the beyond pathetic start to the season at-bat for fading Minnesota Twins outfield prospect Byron Buxton so far this season. While the Twins have been surprisingly winning, Buxton has literally done almost nothing despite being gifted the chance to be the team's number 3 batter. A beyond hyped outfield prospect who many around the game at one time thought was a can't miss, Buxton's poor start is another example of how it is really starting to loom like he simply can't hit. Buxton has already been promoted and sent back down to the minors a number of times the last two years and if this keeps up, he will be right back at Triple-A again soon. Buxton has now hit .209 and .225 during his time in the majors the last two years respectively and his brutal start again calls into question whether he may in fact be a Quad-A guy considering he starts hitting as soon as he is back on the farm. Right now Buxton's fantasy baseball value can't be any lower and the hype that accompanied his speed and power is simply being neutered by an inability to hit. Bench Buxton in all leagues right now and also don't be afraid to cut him. It is just not happening.